We have been swept off to the hinterlands this past month plus, seeing to special needs of our extended and far flung family. I'm still far afield but Mr. KK is tucked back into his man cave and able to rescue the blog which has been sorely languishing. 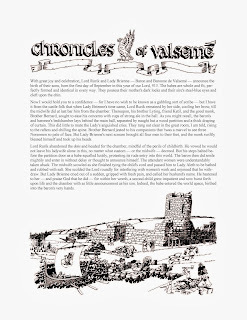 Happily, he has unearthed The Chronicles of Valsemé from storage and will be posting those next and adding them to the website as well. For those who have not read The Valiant Heart (first book of the Heart trilogy) the Chronicles are a bit of a spoiler so be warned! They fill in the timeline after the closing pages of The Valiant Heart and before the opening ones of The Defiant Heart. 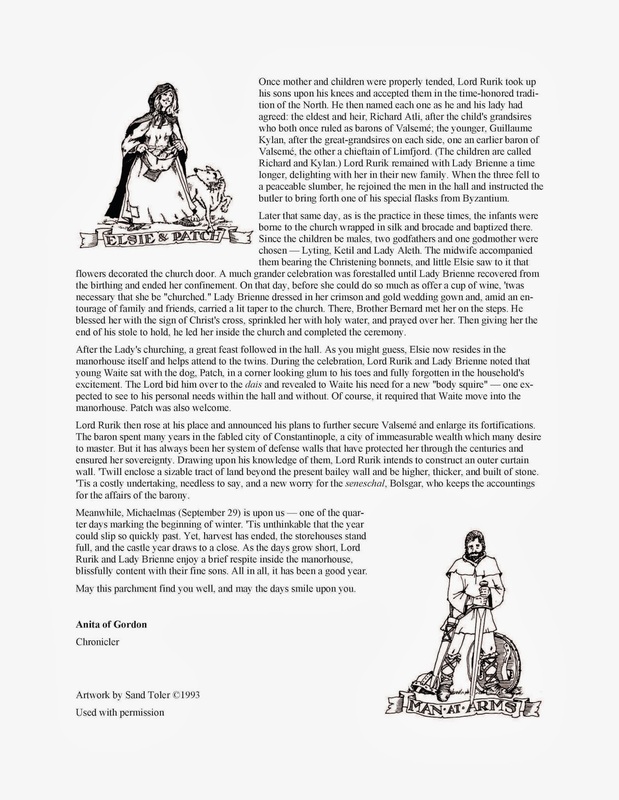 There were two years between the release of those books and The Chronicles served as a newsletter of sorts to keep fans in touch with ongoing developments in the barony. 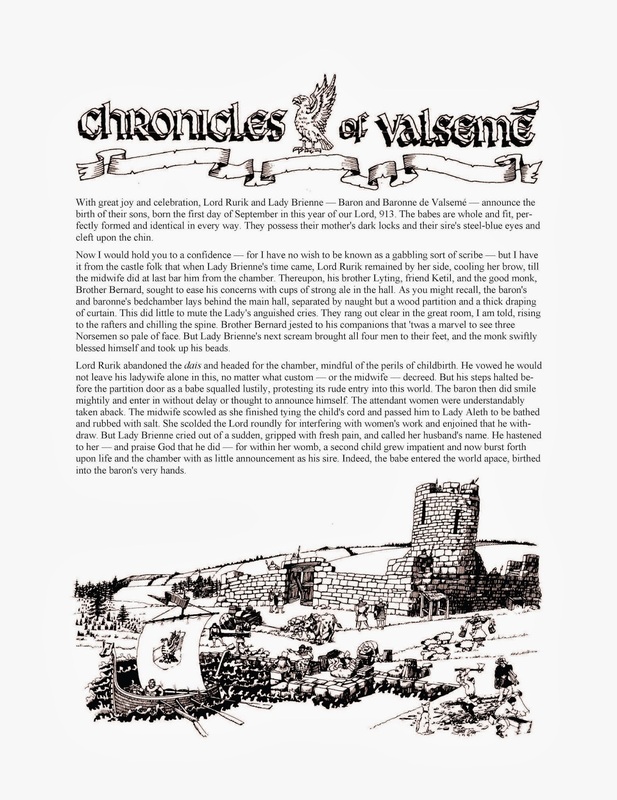 Mr. KK will post them here in sequence and then add them to the website along with the genealogical chart (previous post) for the Houses of Valsemé and Hericourt which traces the families appearing in all three books of the trilogy. 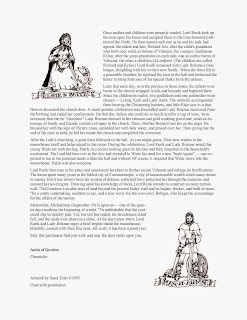 Here's the first Chronicle . . .
Click on each image to enlarge for viewing or printing.